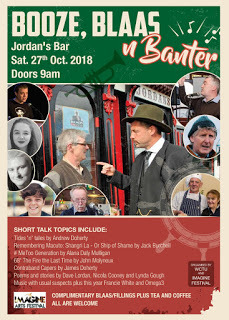 On Thursday last, Oct 5th, Michael Farrell of the Barony of Gaultier Historical Society and myself headed up to Dublin. The plan was to meet David Carroll and his old De La Salle school pal JJ Murphy at Dublin’s Connolly Station and from there hit a selection of maritime heritage attractions. David already had a packed itinerary, but I’d hoped to squeeze another in- a regular page supporter Áine had unearthed a name for me at Connolly and a tip about the Barrow Bridge. The traffic conspired against us however and arriving late, we just had time to shake a hand of welcome before running to meet the Dart to Dun Laoghaire. 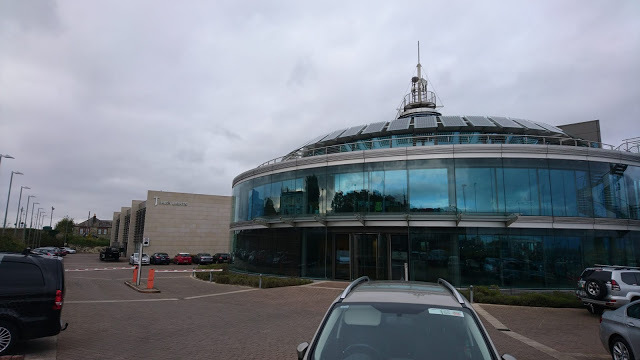 The first stop was the DLR Lexicon library where we enjoyed a look at the Irish lights exhibition entitled 1911-1923 Safety at Sea through War and Upheaval. I even managed to gleam an extra nugget of information for my every increasing blog on mine incidents in and around the harbour. The particular event mentioned related to a mine that exploded beneath the Coningbeg Light Ship in 1913, causing no damage. 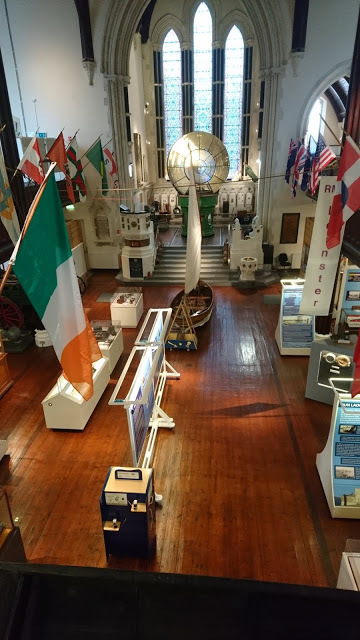 Next up was a visit that I looked forward to with relish – the National Maritime Museum, which is located in the old Mariners Church on Haigh Terrace, Dun Laoghaire. It was not just that I had never visited the museum before that made it special however. A founder member, and I suppose a driving influence in the need for such an institution was none other than John de Courcy Ireland. Even though I never met the man, he was a hero of mine growing up. He was the first person I ever heard to advocate for Ireland sea fisheries, or to acknowledge the uniqueness of a way of life. He also wrote wonderful books which I collected and devoured, and I dreamed that one day I might emulate him. A reprint of my book is now available. Entry is a very affordable €5 a head for adults with lots to see in the two floors of exhibitions. However we had an expert guide in Brian Ellis, one of the many volunteers who keep the museum going. Although we put him to the test time and again with question after question, he never disappointed with an answer or a plausible theory. Although our next appointment was due at 11.30 it was an hour past it before we finished with Brian, and we could have easily spent many more in his company. 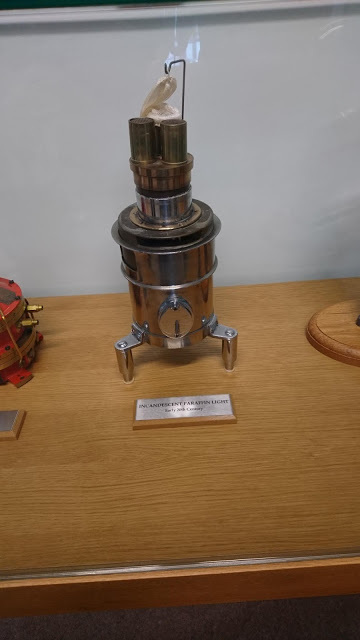 There were many standout moments but for me I was delighted to see an exhibition of old outboard motors including the famed Seagull of my youth, and it was great to get a photo of David with Bob Lewis’ diving gear which we had tried to get previously for his story on the maintenance works at Dunmore East. My one regret of the morning was that I would have loved to sit in the library with the vast quantity of books available for reference. After lunch we decided on a stroll back along the harbour and I made a special request to David, to drop down and view the Hobblers monument, something that I find very unique, a monument to a hard working breed of men who are now almost wiped from the national vocabulary. It might be out of the way, but at least they are remembered in a very fitting and poignant memorial. On the way we had passed the old railway link that had run down to the boat sheds, and from where generations of Irish had emigrated. It’s now just a memory and not even the ferry still runs, its new terminal lying empty, preferring instead Dublin Port. Roy Dooney a pal of Michael’s, has written a beautifully produced brochure on the building of the Harbour, which I think people would enjoy. 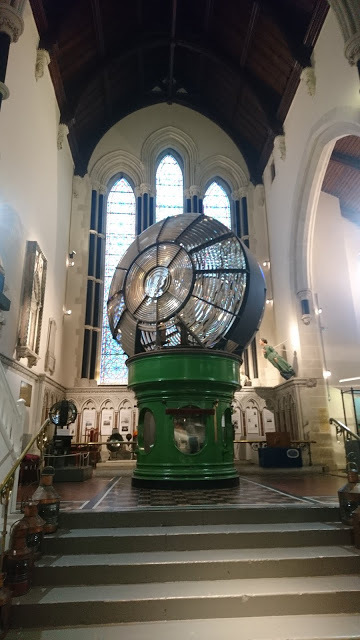 David had planned to visit the Commissioners of Irish Lights earlier that morning and now almost 3 hours late he rocked up to the reception desk and made apologies, while we drifted away to view the displays around the foyer. He must have been convincing for we were joined not long after by an amiable young man named Rory McGee. 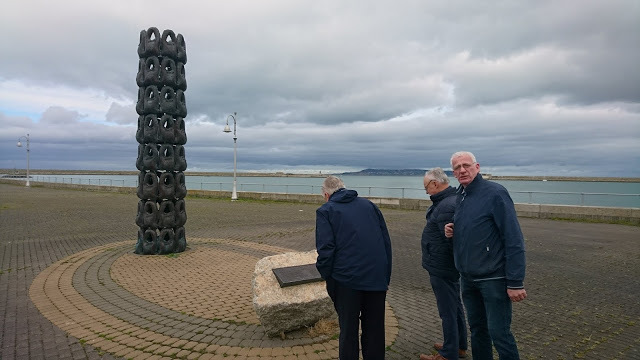 I’m not sure what Rory had in mind, but whether it was planned or just a reaction to the very curious men in front of him, he gave us over an hour of his time and showed us around every aspect of the building, the services history, and the activities that make up Irish Lights. I was very taken by Rory’s passionate interest in his work. The building must be a joy to work in both in its design and in the views it affords staff. I particularly enjoyed some of the art work hanging from the walls, art that had a dominant theme of water and weather, a theme that dominates any mariners life. I also enjoyed the old type burners used in navigation lights such as the paraffin one photographed above. I remember my grandmother sharing the story of Nick Kehoe, a lamplighter on the point light who had to sit watching it all night in order to ensure that the light kept burning. I imagine he cursed the vagaries of the technology at the time, but when gas was introduced his job was gone. Although we had barely scratched the surface of what David had hoped to see on the day, we decided we would have to call a halt as evening came on. Talked out and tired a long return trip was ahead but at least we had all learned a lot. Here’s hoping the next trip finds us in the company of two men as passionate and interested in their respective roles as Brian and Rory. 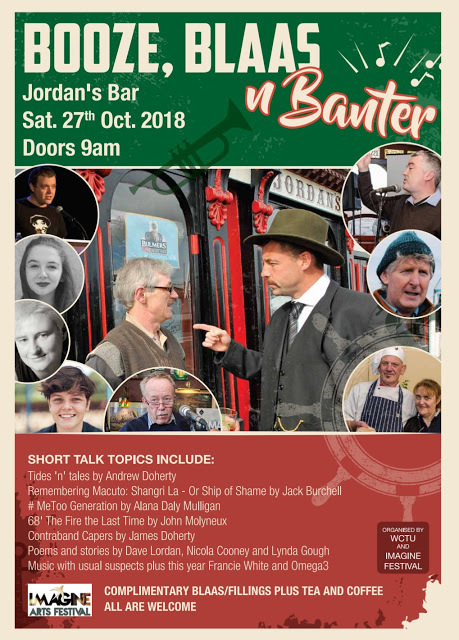 Apparently drink will flow, blaas will be scoffed and tall stories will be told. I’ll do my best to keep my head clear, at least till I finish my piece. I’ll have the cousin as a sidekick of course. 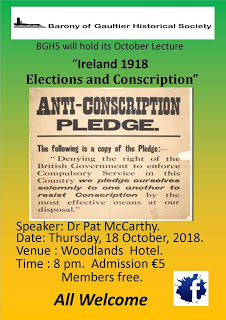 James (Jim) Doherty will talk about the scourge, or was that the joy, of smuggling in the harbour in the 18th&19th Century. And yes as a guest blogger he has also brought some of the story to followers of the blog too. I notice an exotic title on the visit of the ship SS Macuto to Waterford. I can only imagine Jack Burchell will bring us some details of the crews exploits, something David Carroll suggested in his guest blog, but left to the imagination! My guest blog this month is from a stalwart of the page, David Carroll. 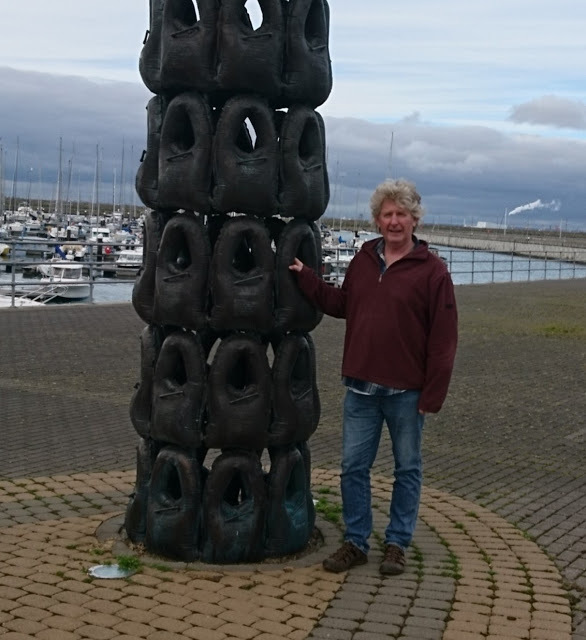 Like myself he has a passionate interest in the local maritime heritage story and his personal reflections and research into the stories make a significant contribution to our understanding. This month he considers the regular summer visitors from Dun Laoghaire to Dunmore during his childhood and paints a very vivid scene. Both my parents, Desmond and Freda, were from Dun Laoghaire but had come to live in Dunmore in 1947, six months after I was born. The reason we arrived was that my father was appointed Harbour Master in succession to Major Wilfred Lloyd. 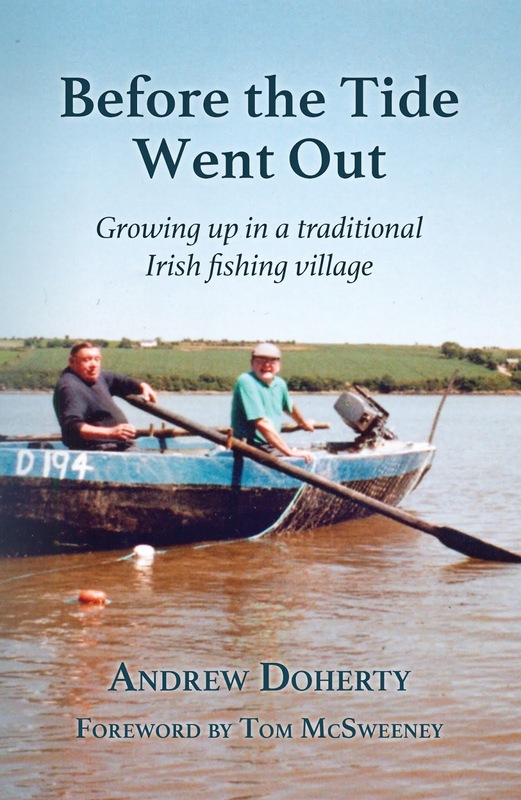 My parents were very happy living in Dunmore and had integrated well into the maritime community of the village. They remembered Dun Laoghaire fondly and loved every opportunity that presented itself to catch up on gossip and news. Countless visitors made this possible; members of the OPW dredger crew, visiting yachtsmen, fishermen during winter months and also those staying in the hotels, caravans or renting houses during the summer months. One such visitor was my uncle Jim (J.J.) Carroll who came to stay with us one summer during the mid-1950s at the time the Dunmore Regatta was taking place. My uncle, who incidentally was the first curator of the National Maritime Museum, was an expert model maker of ships and locomotives. He brought with him a model yacht that I was able to race in the regatta, which was a great thrill for me. 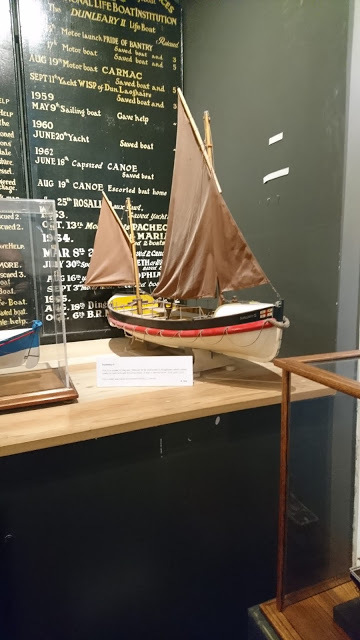 He also brought a replica model of the Kingstown lifeboat Dunleary 11, the last lifeboat to be stationed in Kingstown, which relied solely on oars and sails for propulsion. It was in service from 1914 until 1919, during which time the RMS Leinster was torpedoed and sunk by a German submarine UB-123 off the Kish with the loss of over 500 lives in October 1918. I arranged for the model to be displayed in our garden beside the harbour to draw attention to the Annual Flag Day for the Lifeboat, which was always held on Regatta Day. That was a time, long before Twitter and Facebook were used to publicise such events. 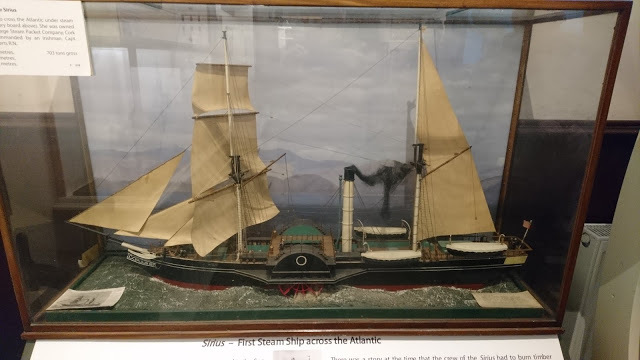 The model is now on display in the National Maritime Museum. Dunmore was a favourite port of call for Dun Laoghaire yachtsmen. It was an ideal ‘stopping-off point’ for a yacht sailing onto Crosshaven or West Cork and was also convenient for yachts coming from Milford Haven in Wales. Looking at visiting yachts to the harbour as recorded in the 1957 Irish Cruising Club Annual, over fifty per cent showed Dun Laoghaire as their home port. 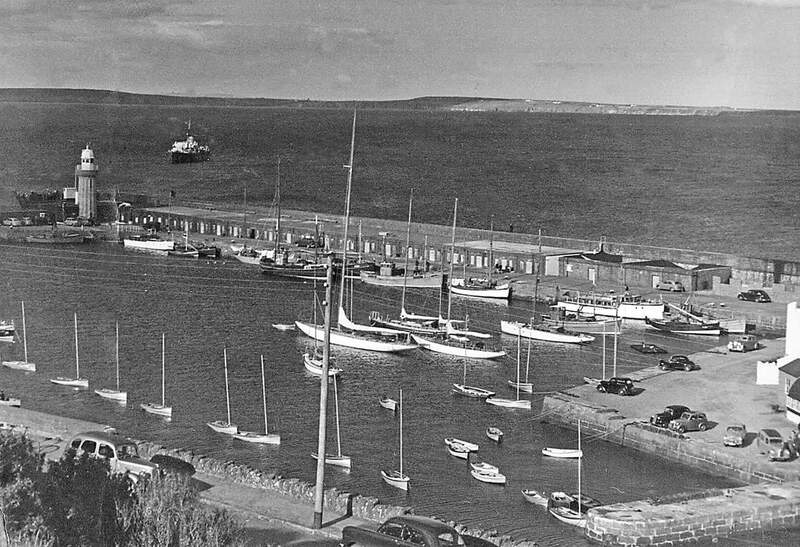 This would be typical of all summers in the 1950s and up to the time that the re-development of the harbour started in the early 1960s. 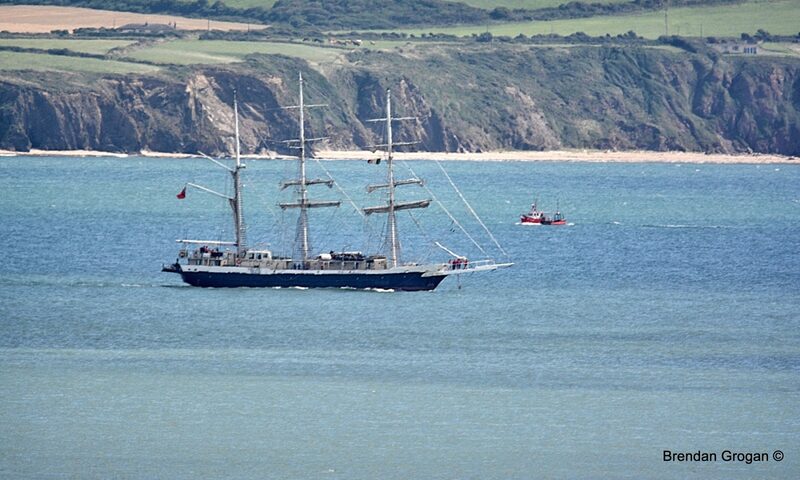 I have some fond memories of the Dun Laoghaire yachts coming to Dunmore and some that I might want to forget! 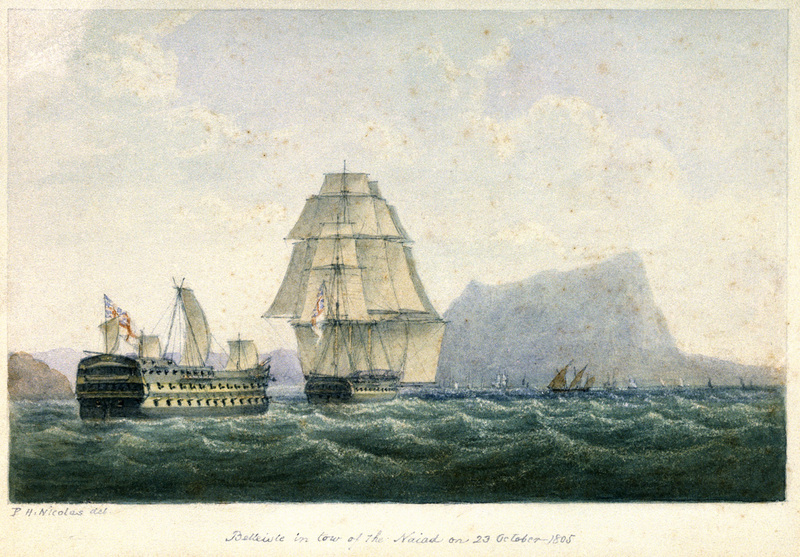 The typical yachtsman arriving in Dunmore would have been a professional type of person as yachting was a pastime that required a lot money to fund. Having worked hard all year, many would let their hair down during their time in Dunmore. It was mainly all good-natured fun and antics but one escapade that I was told about, by my parents, involved a small Messerschmidt car being brought through the windows of the Haven Hotel and placed in a guest’s bedroom. The Waterford News went on to say: “..It was the second time within a week that Mr. Reddin (I think they meant Reddy) figured in an unpleasant incident. The first occasion was when the yacht in which he was a passenger was buffeted by mountainous seas five days ago off Hook lighthouse. All on board though that they were going to be swamped and crushed to death on the rocks. They tried to light flares, but they had become so wet that they would not light. It was the intention to raise an alarm so it could be conveyed from the lighthouse to the crew of the Dunmore East lifeboat. Two other regular yachtsmen were Roy Starkey and Bob Geldof who sailed a small 4-ton yacht called Bonita. I can recall them coming into our house at midnight to hear the shipping forecast on BBC radio. 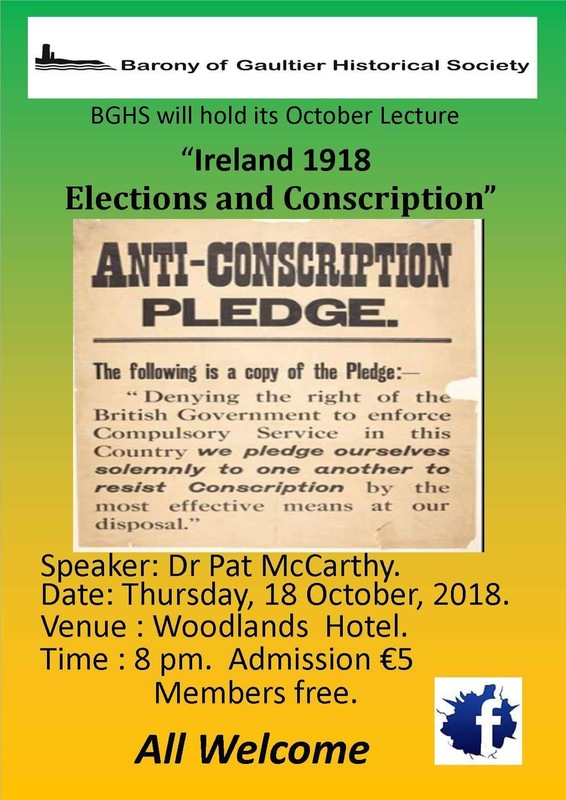 This information was vital to them before setting off to round the Tuskar and heading up the Irish Sea home to Dun Laoghaire. Bob Geldof lived just a few doors away in Crosthwaite Park, Dun Laoghaire to where my mother had lived before her marriage. I can recall saying to her that Geldof was an unusual name and she told me that it was a Belgian name and the family had come to live in Dublin, which satisfied my curiosity. Many years later, he rose to national prominence because of his famous son, also Bob who became celebrated as the singer with the Boomtown Rats and who brought Live Aid to the world. Two motor yachts from Dun Laoghaire, listed in the 1957 Irish Cruising Club Annual were the Kittiwake and the Santa Maria and I have memories of them both for very different reasons. 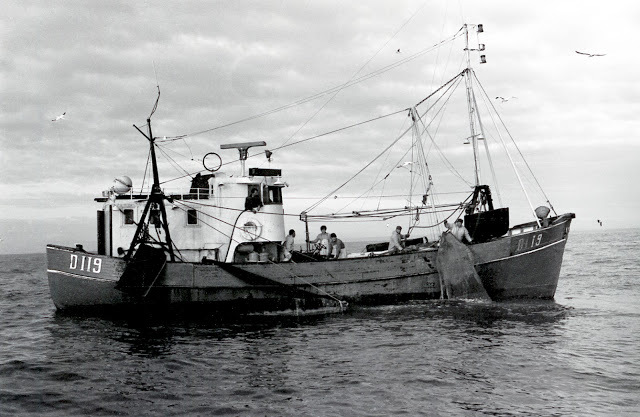 The Santa Maria, may have been a converted fishing boat, and was kept in pristine condition by two professional yacht hands from Dun Laoghaire called Pat Carey and Billy Davis. They crewed and maintained the motor yacht on behalf of the Creedon family, who were well known in business. Pat and Billy were real seafaring characters and I always thought that they may have spent time at sea earlier, with Irish Lights or maybe on the mailboats. During my summer holidays around that time (1957/58) I was allowed serve as an altar boy at the daily Mass in the small chapel attached to the Convent that overlooked the harbour. On one occasion, I was told that the priest celebrating mass would be the priest who was a guest aboard the Santa Maria. The priest was from Blackrock College in Dublin. He obviously was used to older and better-trained boys serving and was very intolerant of me as I struggled sometimes with the responses, which in those days were in Latin and I had a tendency to ring the bell at the wrong time! After Mass, the priest took me aside and told me directly that I would need to speed up and cut out the errors. I was very upset and did not return to the Convent after that until the Santa Maria was well and truly around Hook Head. Much later, I discovered that the priest was Father Walter Finn, nicknamed Wally, who was a famous rugby coach in the College and coached many successful SCT teams. I had much happier memories of the Kittiwake. Another well-known person in business, called Sam McCormick, who held the agency for Caterpillar heavy-duty machinery in Ireland, owned this motor yacht. This company later became McCormick MacNaughton. He and his family were always very kind and generous to my parents. I often used to catch shrimps in the harbour and hand up a bucket full to the guests staying onboard, who always seemed to enjoy cooking and eating them. At the end of the 1957 summer, my father was asked to skipper the Kittiwake on its return voyage to Dun Laoghaire. Along with Sam McCormick and his eldest daughter Jean, I was given special permission to be part of the crew. I was absolutely delighted. This was to be first time to go past the Hook in a boat and I was told that the course my father was to steer would bring us right between the two Saltee Islands. I could not hide my excitement. From Killea church, you could see the Saltees in the distance off the Wexford coast. I was looking forward to seeing them at close quarters, but the reality was somewhat different, as I got very seasick as we passed through the sound between the two Islands and had to lie down on a bunk in a cabin for a few hours. We reached Wicklow by nightfall and went to the Grand Hotel for a lovely meal. My appetite has returned at this stage. Next day, was the All-Ireland Hurling Final and we completed a very enjoyable voyage to Dun Laoghaire along the Wicklow and Dublin coastline. I recall that it was about 3am, when we arrived back in Dunmore by car but I was still up in time for the first day back at school, which was overshadowed somewhat by Waterford’s narrow loss in the final. It was not only during the summer that Dun Laoghaire folk came to Dunmore because during the winter herring seasons, fishing boats from Dun Laoghaire formed part of the large fleet fishing in the rich herring grounds at Baginbun and landing their catches at Dunmore. One Dun Laoghaire skipper who stood out and was held in very high esteem by my mother and father was Brian Crummey of the m.f.v. Ard Ailbhe. This was partly because he hailed from Booterstown, where my parents had lived but more importantly because he was highly qualified and trained skipper and a very ambitious one that had the expertise and drive to compete with foreign fishermen. In 1967, Brian travelled to Norway to bring the trawler Nordkap back to Ireland. It was 65 feet in length (20 m), wooden hull and powered by a 230hp engine. It was an outstanding vessel. Brian, of course continued the Dun Laoghaire / Dunmore East connection many years later when he married Frances and came to live in the village. 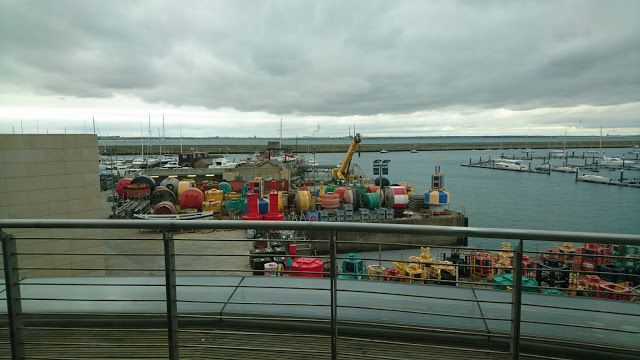 The two ports will always have connections and I am sure that other people will have as many happy memories to share, over the years, as I had growing up on the harbour in Dunmore. Next month’s guest blog will feature Catherine Foley, who will introduce us to her uncle Joe from Passage East. I’m always delighted to get contributions for the guest blog. If any others out there would like to contribute, I would love to hear from you. The brief is 1200 word count, on a theme of the three sister rivers, the ports of Waterford and New Ross and harbour maritime history. If interested to know more or discuss an idea please drop me an email. There was once a village at Faithlegg. It stood on the left hand side of the road, past the church, heading for Waterford city. 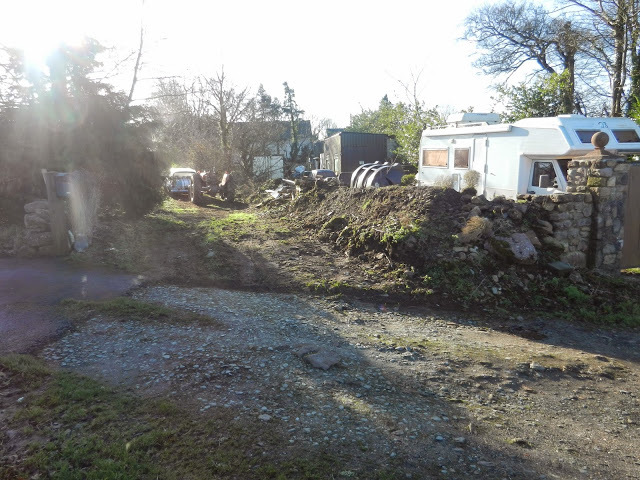 Locally it has always been said that the village was wiped out when the black death swept the country and such was the fear attached to the plague that the Aylward family could get no one to enter the houses and so they crumbled into the earth. Could that be true? Faithlegg village lay on both sides of a road which stretched between the then Faithlegg castle, originally a Motte and Baily and old Faithlegg church. Its development was linked to the settled period following the Norman invasion, when the lands of the area were granted to a Bristol merchant named Aylward (circa 1171/2). 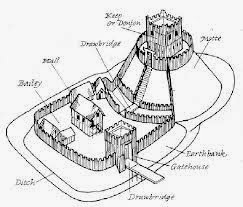 Initially the Motte & Baily was a secure area from where the new Norman manorial system was organised. Within the walls knights, administrators and trusted peasants worked the lands. From within, all rules were passed, justice exacted and taxes paid. Eventually, as the times became less troubled for the invaders, other developments such as churches and mills were created and families could move beyond the bailey into the wider community. The Black Death or Bubonic plague was believed to be carried by infected rats and their fleas. 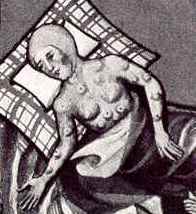 It spread like wildfire across the European continent in 1348/9 killing an estimated 50% of the population. Bristol was then the second largest city in England and a major point of trade with Ireland. It is claimed that it was the first city in England to experience the plague, via incoming ships. No surprise then that it would eventually hop across the Irish sea. 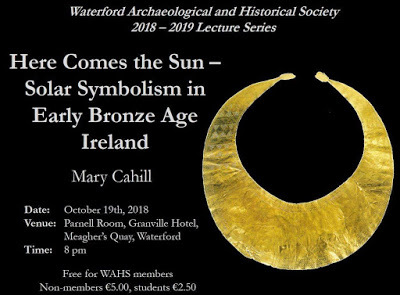 Because of their trading links ports like Waterford and New Ross were direct conduits for the plague and suffered a high mortality rate, as did all coastal regions. Villages such as Faithlegg must have been quickly overrun. Very little written evidence of the plague was recorded. Having ravaged and terrorised the population its little wonder those that remained had no energy or will to write it down, it was perhaps enough just to have survived. It is probable that no information of the demise of Faithlegg will ever emerge, and the folk memory passed on by people like my grandmother is all the evidence we will ever have. That and the remaining archaeological evidence beneath the grass on Phil Goughs land. Thanks to modern technology such remains are becoming increasingly accessible, such as this fascinating blog post from Simon Dowling with excellent aerial views of the site. 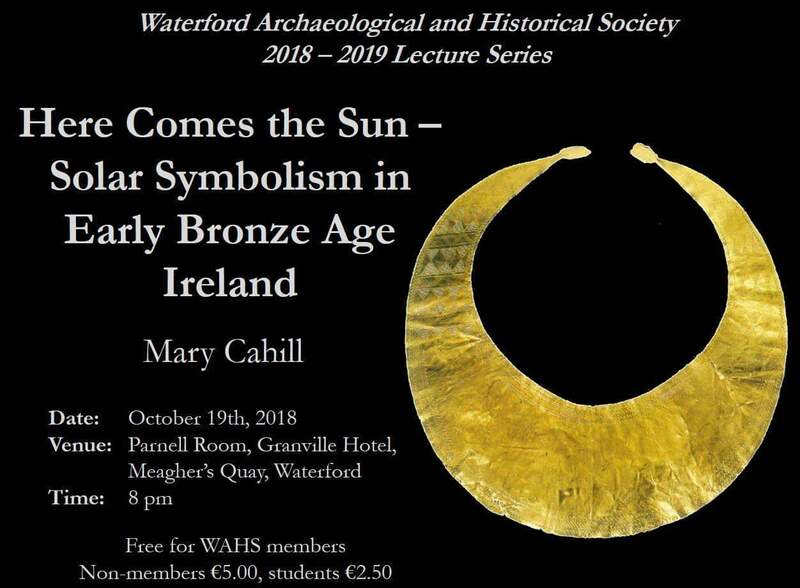 *According to Michael O’Sullivan on the Waterford History Group, the graveyard of St Catherines Priory ( Courthouse now on the site) was the burial place of city victims of the black death and subsequent epidemics. Modern theories are also evolving, some of which suggest the poor denigrated rat and his flea may not have been the cause at all. retiring to take up a post as harbour master at Dunmore East. apparently in recognition of his bravery and combat skills. his last ship Queen Charlotte (1810). dislocation, leaving him with a permanent limp. with it Mark Anthony was out of a job, and without a pension or any compensation. family in Ballylaneen Church and graveyard. * Following the victory over the French there was a reduction in the number of vessels and therefore a shortage of positions and opportunities for promotion in the Navy. Perhaps this was a factor in Anthony’s decision. * *My own research gives me a date of 1835, but I’ve read several other years mentioned, both for the commencement and the closure. I have yet to properly research the mail packet at Dunmore and hopefully that will firm this up, for me at least. Here’s a blog post on what life was like for an ordinary navy sailor in the era. An article on the Anthony family by Hubert Gallway, Decies #16 January 1981. Stradbally na Déise. 2007. Stradbally Tourism & Enterprise group. Julian Walton also mentions Anthony as one of the Waterford men involved in the action at the Battle of Trafalgar in On This Day Vol II.